Jorge is the founder of ENTRETANTO, an experimental company to develop own and part-owned products or sevices that will shape a new business model based on relationships between brands and the creative industries. ENTRETANTO is already developing 2 brands. ZUPPA, an "affordable premium" fast food restaurant focused on soups, launched in september 2013. And CONSENTIDO Extra Virgin Olive Oil, recently launched with a limited edition online pre-sell of freshly squeezed unfiltered Olive Oil. Rated with an outstanding 7,8/8 and featured in the main gourmet sites and blogs, Consentido reached its objectives three weeks after its launching date. Future projects involve Mobile Apps, Education and Health. In January 2007 Jorge also co-founded LOLA (an affiliate of Lowe & Partners Worldwide), a 70 person Madrid-based agency running campaigns for global clients such as Unilever Ice Creams, OralCare, Deodorants along with local clients like Schweppes group, Heineken group, or Tele5. In 2009 Jorge became a member of the Lowe WorldWide Creative Council and he has also held the positions of Global Creative Director of Unilever OralCare Brands (Signal, Pepsodent, Zhong Hua, AIM, Mentadent, P/S, Close Up) and Global Creative Director of Cornetto Ice Cream. 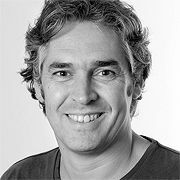 Jorge moved from Argentina to Spain in 1997 and joined some of the most award-winning agencies at that time: Slogan, Contrapunto, Valmorisco and BDDP. After developing his skills as an Art Director in those agencies, Jorge was ready to lead an agency. And that is when he co-founded the Madrid office SCPF. Three years later he joined Cathedral as a partner and Executive Creative Director. He then moved to Euro RSCG as Executive Creative Director and Bassat Ogilvy also as Executive Creative Director. On coming to the Berlin School, Jorge said it is about survival. "In a high demanding profession like this, with a lot of rotation and a big generational selection, you're either a leader or a leaver. You are among the ones who set the pace in the industry or the industry simply ejects you."